With Halloween becoming more and more popular in Australia, we all want to pick great costumes for the occasion. We don't necessarily have to choose a scary costume, we can choose any costume that represents us. 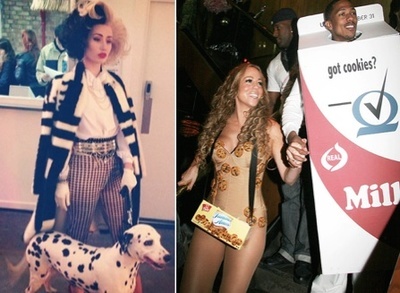 Below are 10 celebrity costumes to give you some inspiration this year. They say red heads have lots of fun, so why not try it this Halloween. Kim Kardashian’s Poison Ivy outfit was a showstopper and without a doubt it will also be a show stopper at your Halloween party. Miranda's Ringleader costume is another great idea for Halloween. All you need is a bodysuit (with the more detail the better) and finish it off with opaque stockings, a top hat and circus whip. Move over Cruella de Vil, there is a new girl in town. As long as you have a black and white wig and a black and white fur coat, you do not need much to make this outfit amazing. Want to dress up with your partner? Mariah and Nick had some fun with their outfit dressing up as milk and cookies. These outfits won’t be too hard to make. All you need is some cardboard to make the milk carton and a beige body suit with cookie images all over for the cookie costume. Alternatively, you can purchase outfits online or hire them at your local costume store. This is an easy dress up for any guy who has little time to organise their outfit. Get a worn out singlet and plain black pants and you will look like Rambo. Finish your outfit with some drawn on tattoos and a machine gun. No matter how old you are, this outfit is perfect. Just dress in your average attire and wear a Superman T-shirt underneath just like Clarke Ken wears. All you need now is a pair of no lenses glasses and you are set. A great duo outfit for Halloween is Bat Woman and Robin. To stand out from the crowd, purchase your outfit online or hire it from your local costume store. Bring out your inner goddess this Halloween. Bring out the jewels, thick makeup and the black wig. You will have this Cleopatra look down pat in no time. 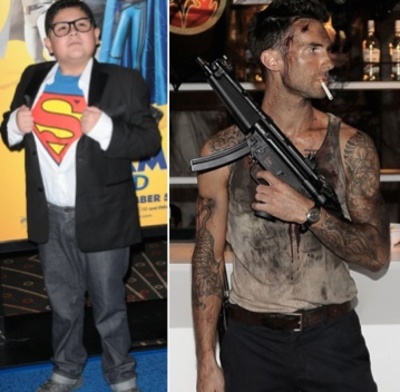 Hopefully there is some inspiration to help you decide on your Halloween costume this year. Happy Halloween!